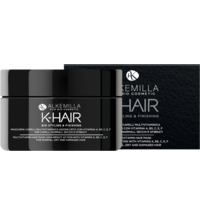 Smoothing & nourishing treatment for all hair types! This hair balm with Melilotus, also known as honey clover, is suitable as an intensive hair treatment for all hair types after cleansing. 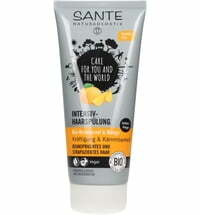 It if free from silicones and nourishes with natural ingredients. 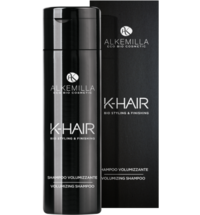 It protects the hair; provides it with volume and strengthens its natural shine. Coarse and unruly hair is left soft , while damaged hair is cared for with chamomile extract and honey clover plant complex. Valuable avocado oil and carite butter does not only soften the hair, but also cater to a healthy scalp. 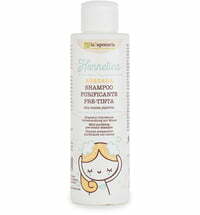 Hair is left feeling soft, supple, manageable and optimally protected. Application: Suitable for all hair types. Let the hair balm sit for a few minutes. Rinse thoroughly thereafter. Note: Dermocosmetic products suitable for external use only. Only apply to skin that is not damaged. Avoid contact with eyes. When in contact with eyes, rinse with water. Keep out of reach of children. Store out of direct sun light and at room temperature. 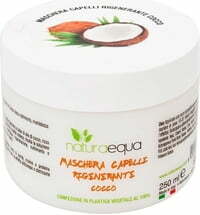 Butyrospermum parkii (Shea butter), i.e carite butter. 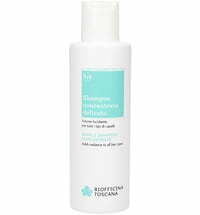 Hydrates, regenerates and protects the skin. Rich in vitamin A and D for revitalization; vitamin E for oxygen supply; and vitamin F for supple skin. Improves the blood circulation and increases the supply of oxygen to dispose of metabolic waste. Antioxidant effect. UV protection. Melilotus officinalis extract (*). Astringent, refreshing. Pogostemon cablin oil (*), i.e. patchouli leaf extract. The essential patchouli oil is used a lot, thanks to its intensive scent. 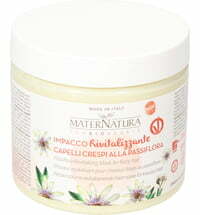 It has moderate anti-inflammatory, regenerating, refreshing and balancing effects. It is effective for dry skin and wrinkles. 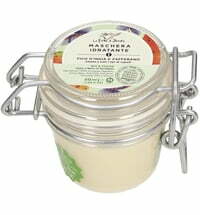 It is extracted from the avocado seed and nourishes, smooths, making skin and hair soft. Lavandula angustifolia (Lavender) extract (*), i.e. laverder extract. 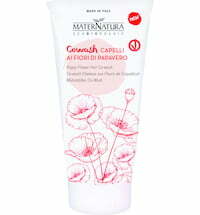 Soothes the skin due to its ester content. Contains ursolic acid that has antioxidant and antibacterial effects. It inhibits elastase, that is responsible for elastic degeneration through inflammatory processes and the breaking down of tissues. Calendula officinalis flower extract (*), i.e Calendula blossom extract. Rich in triterpane, flavonoids, polysaccharides, carotene and phytosterol. The special soothing property is as a result of teh flavonoid mucilage component. The defence-promoting capacity is, however, due to the polysaccharide. The carotene contained in the Calendula officinalis flower extract is responsible for protection against sun rays. The extract has anti-inflammatory effects on sensitive, infalmmed skin; stimulates the epithelization and the tuenover of the epidermis, while promoting the activity of the firbroblasts of the dermis and thus the collagen synthesis. Chamomilla recutita extract (*), i.e chamomile blossom extract. Relieves redness, detoxifies. 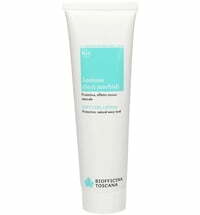 Stimulates the circulation and the activity of fibroblasts and thus the synthesis of collagen, connective tissue and hyaluronic acid for the regeneration of the epidermis and dermis too. Citrus aurantium dulcis (orange) peel oil (*). Refreshing, invigorating, soothing. Rich in vitamin C and anti-inflammatory. Supports the formation of collagen in the skin. 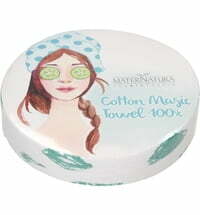 Reduces wrinkles, rejuvenates the cells and tightens the skin. 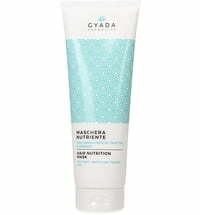 Hydrolyzed soy protein improves body, consistency and handling of the hair. Contains cystine to strengthen and condition the hair. 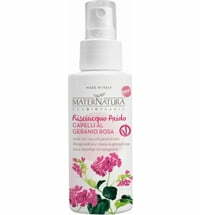 Improves the capacity of hair and skin to retain moisture and, in particular, improves the tensile strength of the hair. 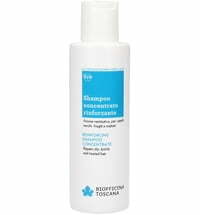 Relieves damage caused by discoloration, chemical treatments and the heat of the blow dryer. 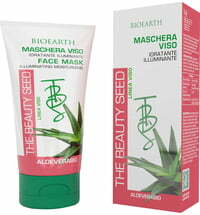 Reduces rough areas of skin, typical of a dry climate. I got this conditioner when I ordered a surprise box from Ecco Verde. Now they dont sell them anymore, which is shame becuase I doscovered this amazing brand becuase of that. Before this all the organic hair conditioners were too watery and didnt realy do nothing for my dry color treated bleached hair. This one makes my hair feel soft and manageable. It will stay with me and I will repurhase!